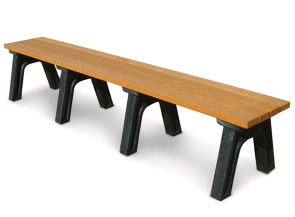 Combine the durability of four recycled plastic seat planks with the strength of thick molded frame legs and you have rugged plank benches that many outdoor and indoor environments demand. With exceptional resistance to moisture backless plank style is ideal for locker rooms or down by the dock. These recycled plastic backless plank benches are perfectly suited for providing comfort for hikers on trails and walkers along paths. All stainless steel fasteners are included. 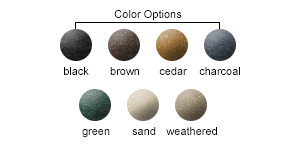 Available in the recycled plastic color options shown below.